So simple, and so breathtakingly beautiful. 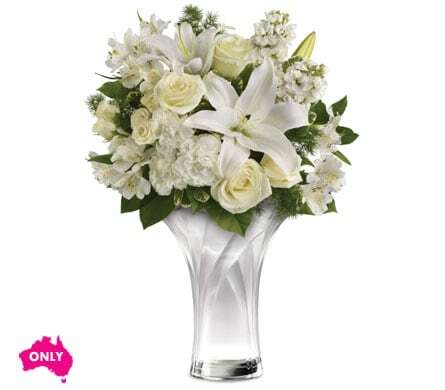 This elegant arrangement features an all-white bouquet of roses, lilies and more. 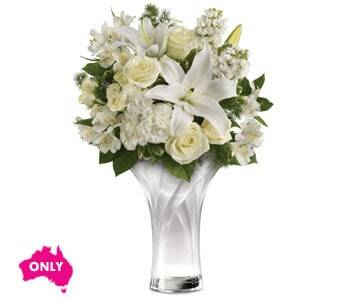 Hand arranged in an exquisite Celebrate Mum vase.